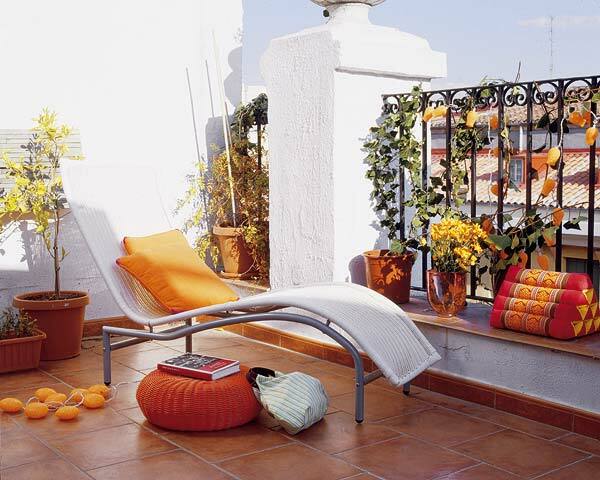 A patio provides many different functions in a home. It is a place to relax, a place to entertain, an alternate place to dine or sip drinks, and adds value. 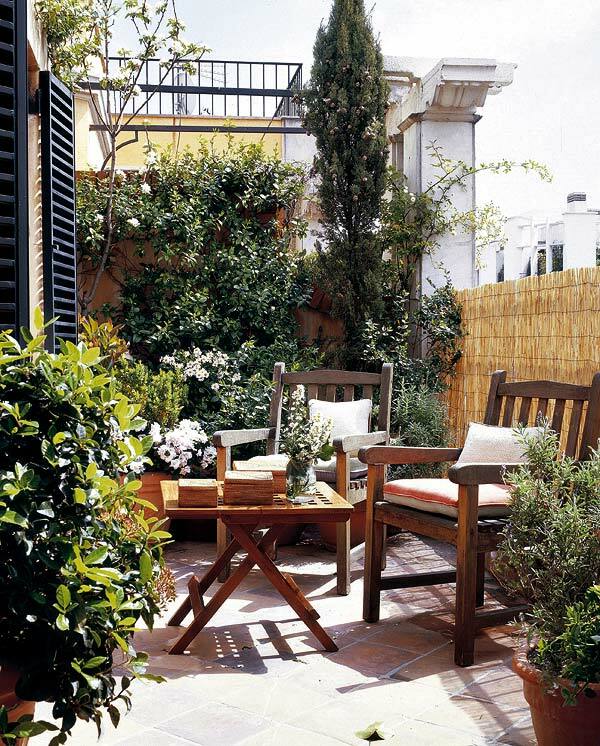 Since summer is right around the corner, lets take a look at some fantastic patio designs ideas, that can light up that imagination. 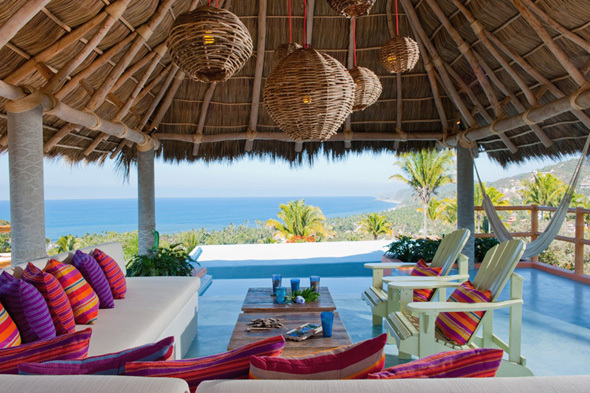 Adding bright and bold colors can fix up and enliven your outdoor space almost instantly. The beautiful pink in this space is absolutely gorgeous. 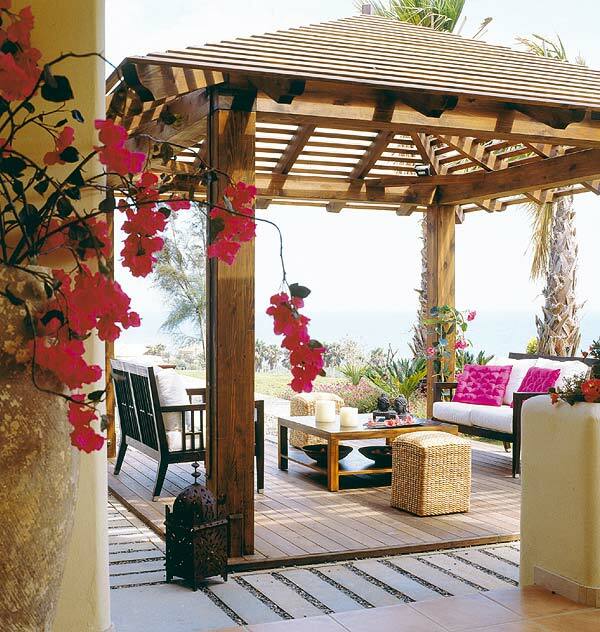 Done incorrectly, it could be overwhelming, but the neutral furniture and rug, accentuates and anchors the pink. 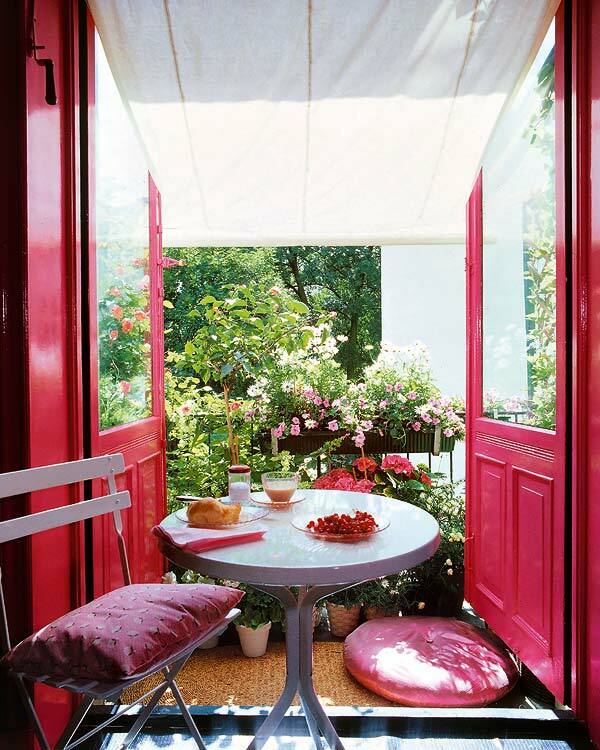 If you don’t necessarily want a bright pink patio, you can accomplish the same thing on a smaller level. 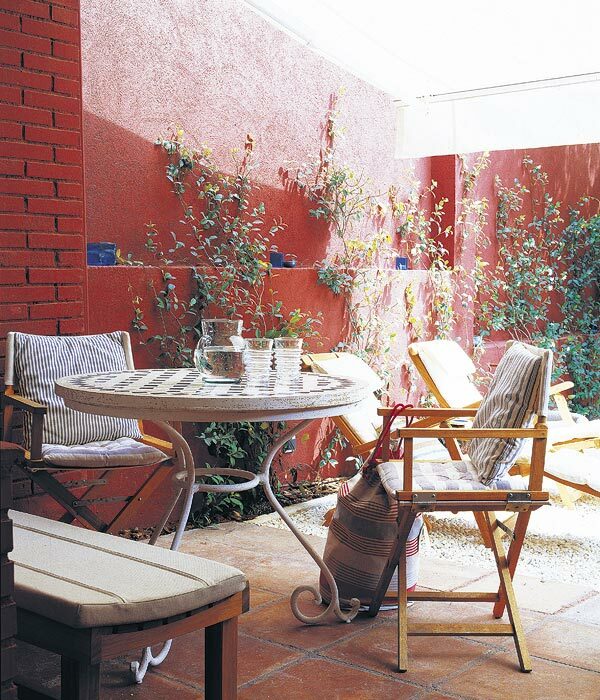 Small, but significant pops of a bright and bold color can add flair to any outdoor area. The color is not just limited to the furniture, you can also add color to the surrounding walls, effectively brightening the space and separating it from the rest of the home. 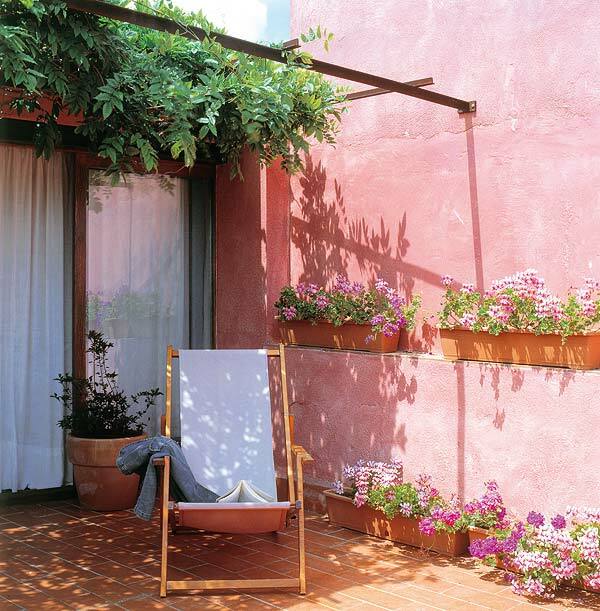 Beautiful wood furniture is definitely included in this wonderful world of patio ideas. 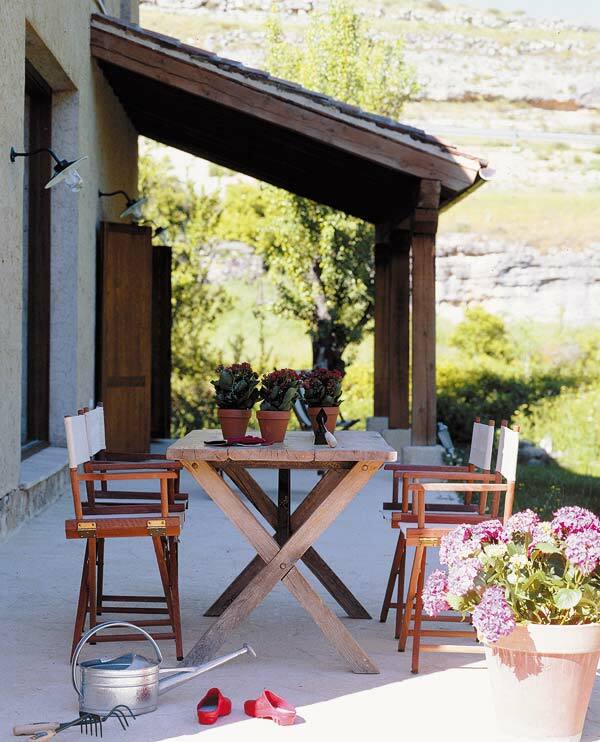 Wood tables and chairs, add a huge amount of charm and style to any outside space. The wood can be any color and any design. 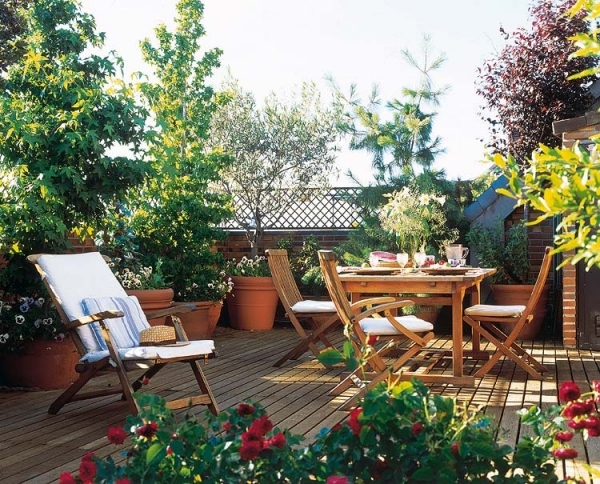 Using wood outside connects your patio space with the rest of the outdoors, creating a connectivity, flow, and zen-like atmosphere. 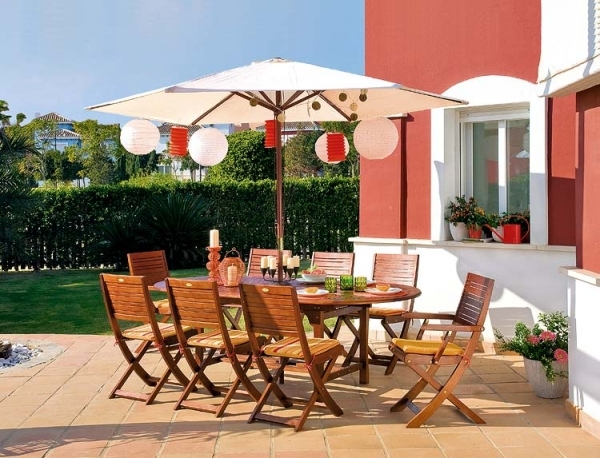 Patio coverings also add style to your patio designs. 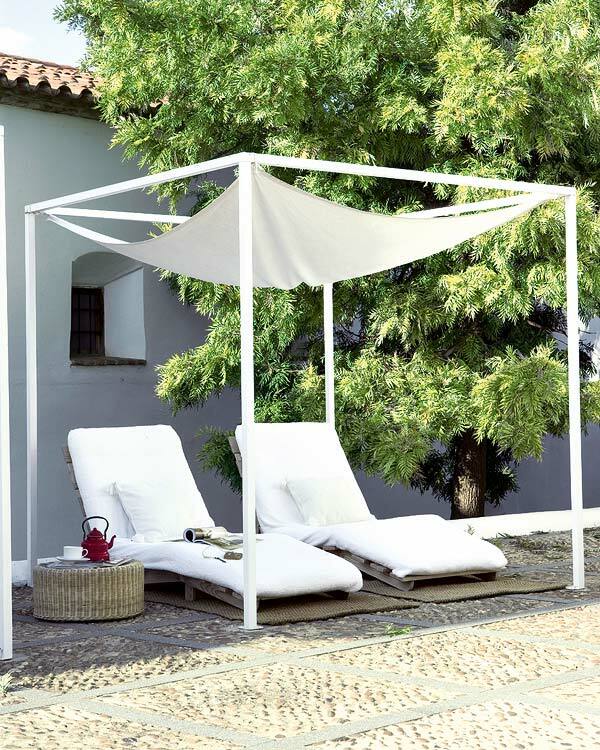 There are a plethora of pergola options available. They come in a variety of finishes and shapes, and can vary in the amount of coverage they provide. Umbrellas are another option, and they also come in a variety of designs. 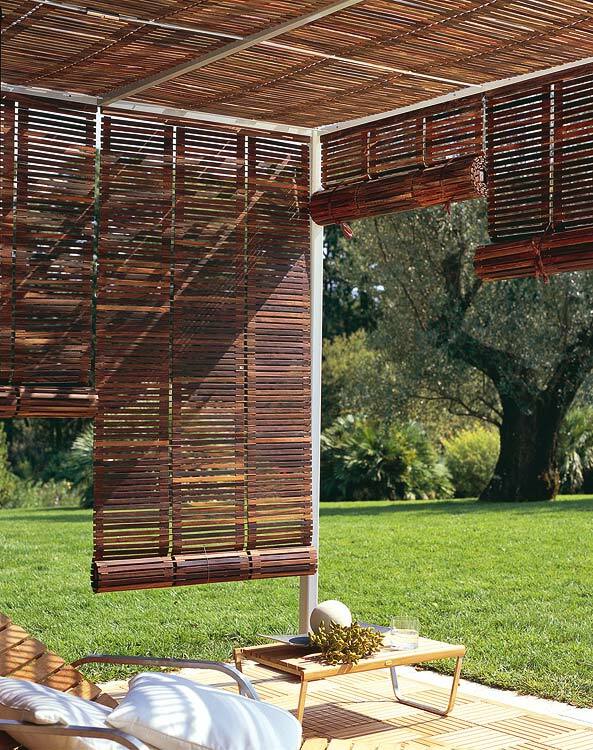 Vertical blinds provide a unique and beautiful option, giving you a little more control with your sun exposure. 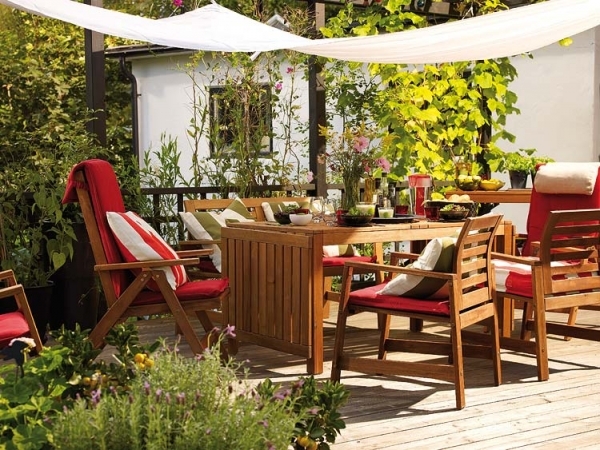 Lastly, indoor furniture, used outdoors, is a perfect way to revamp your patio. 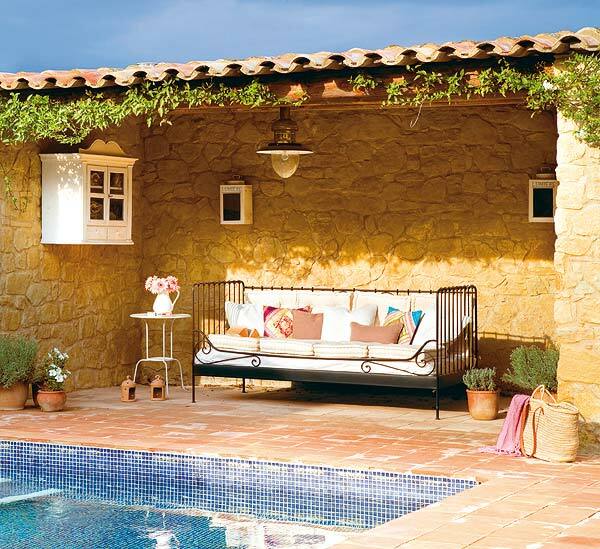 This generates an indoor/outdoor living space, even if you don’t really have it. Of course, the furniture would have to be properly protected, but it can provide a comfiness, not regularly found in patio furniture.